Pradhum Jalwaya resides in Sewda village which is located in Ashta district of Madhya Pradesh. He belongs to a very poor family. His economic condition was not very good. He has two sisters and a brother. He lost his father when he was only fourteen. They spent lots of money on their father’s treatment. Pradhum and his mother both worked to sustain the family. Through his friend he came to know about Don Bosco Tech (Astha). Pradhum came to the centre to know more about the program and its entitlements. 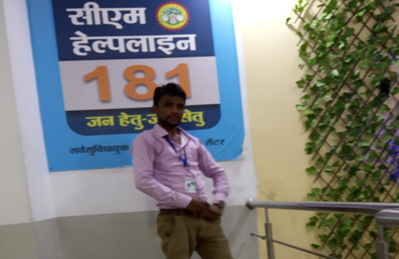 The trainers described him the deliverables of the program and also said, “Don Bosco Tech will assist him to find a placement after successfully completion of the training.” After counseling, he decided to enroll in Domestic Data Entry Operator course as per his interest. During the training, Pradhum was a good learner, punctual and very passionate about the domain. His ambition was to get a good job to support his family.After the training, Don Bosco Tech provides him chance to be interviewed in C.M. Helpline, where he performed really well in every aspect and got selected with a handsome salary. Now he is very happy with the job as Data Entry Operator and supporting his family financially.